This post may contain affiliate links! This means I earn a small commission if you purchase anything through said link. I only recommend products I know and love or that are on my wishlist for future purchase. I hear a phrase repeated too often from my clients. 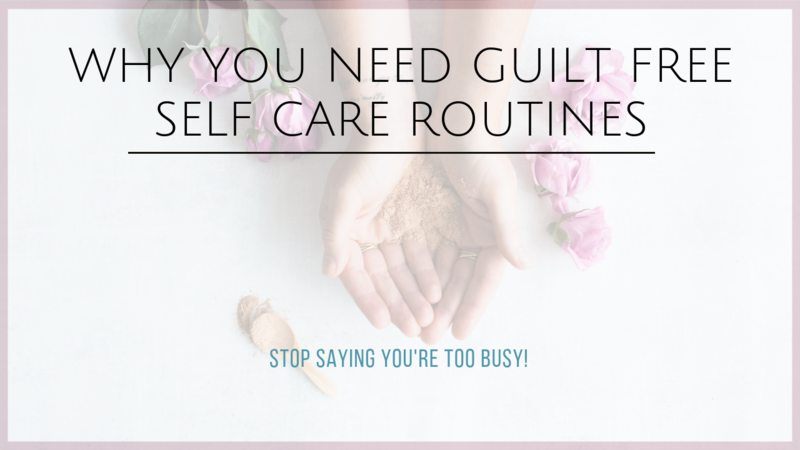 “I don’t have time for that.” “That” can be anything from washing your face every night to spending a little time pampering your skin with exfoliation or a mask. Seriously who doesn’t have time to wash their face every single night? We all have busy and overwhelming seasons in life. But you do have time, you just don’t make it a priority. And that means you don’t make YOU a priority. It doesn’t matter if you have a toddler screaming outside your bathroom door, or you are a workaholic about to have a breakdown, you absolutely need to wash your face EVERY SINGLE NIGHT. (And for the record, a toddler will survive screaming in their crib while you give yourself 5 minutes to cleanse your skin, use the bathroom, or whatever necessity you’ve been putting off.) 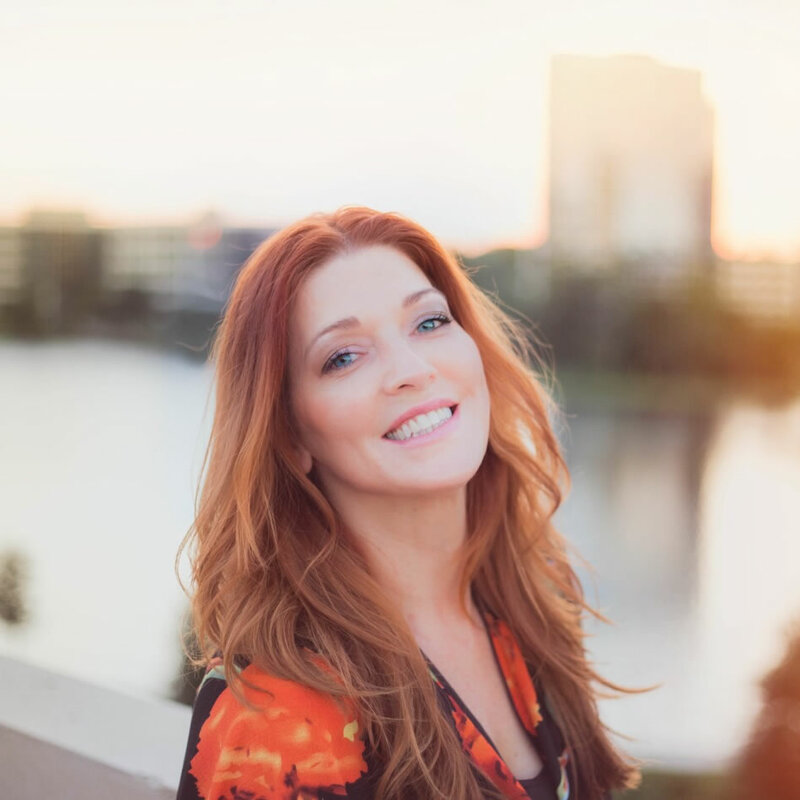 I get it, I raised 5 kiddos yet still found time to exercise and wash my face…we may have had cereal for dinner a few times but I needed to stay in shape! I’m not trying to pat myself on the back, trust me a lot of things slipped through the cracks back then. But I was just vain enough to prioritize things that affected my appearance! If you are going to bed without washing the grime of the day off not only is that unsanitary (think of the germs your pillowcase is harboring) but it shows a lack of prioritizing. How are you going to take care of anyone or anything if you can’t properly take care of yourself? And you are just as important as anyone else and deserve some guilt free TLC. I met a woman once, she had children later in life and had a very important career. She claimed she basically left the house at the crack of dawn, worked all day, came home late, tended to the kids and was too exhausted to do anything for herself. This would be a conversation for another day but if you are leaving your house before the sun is up, coming home just in time to say goodnight, mentally and physically exhausted, maybe it’s time to downsize some things in your life. This is not sustainable for good mental health, physical health, or family relationships. 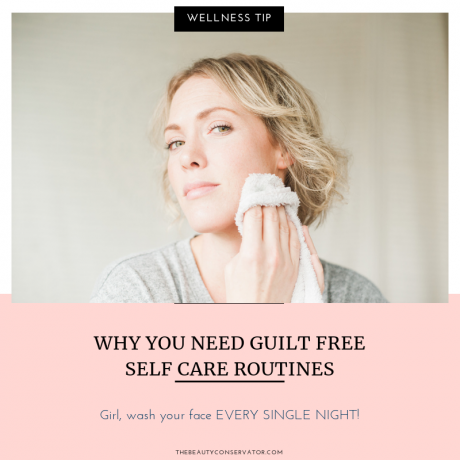 You absolutely need to take care of yourself and having a nightly routine goes a long way in helping you decompress and sets the tone for relaxing into a good night’s sleep. If you have time for checking messages on your phone, watching favorite shows, or any other mindless activity, you have the time! I frequently say I am too busy to workout, but the reality is I was probably scrolling through my phone for at least 30 minutes and could’ve squeezed in the time. We can all take inventory on the time suckers that distract us and use that time to focus on our health and wellness. When the hubby wants to watch a movie I’ve found it better to go do my 12 step program before it starts. By the time I feel him nudge me awake, after I’ve fallen asleep midway through, its a bad time to do a skincare routine. So carve out your time while you have something that resembles energy. If you have a day job maybe you can make it a habit to wash your face as soon as you get home. If I can wash my face at 3:00 am after airport delays and dragging myself into my hotel you can too! If you find a cleanser that smells and feels luxurious that actually may help you look forward to your nightly routine. Washing makeup off has always been a dreaded chore to me but I do find myself hating it less when I love my routine. There’s something so satisfying in watching a cleanser emulsify and break down the remains of the day. If exercise is something you’d like to incorporate into your day try not grabbing your phone first thing in the morning and workout instead. Mentally and physically, this would be a great way to start your day. More important, do you know what can happen if you let everything around you dictate your schedule and don’t take time for yourself? You turn into a resentful martyr. Not only do you owe yourself some personal attention, you owe those around you a stress free life where nobody is exploding because they’re too busy taking care of everything. I know because I used to be a professional martyr! This quote by Abraham Hicks says it best. If you are already excelling at having a skincare routine, how about treating yourself to your favorite activities more often. Whether it’s reading more books, getting a massage or facial, or just having some downtime….when is the last time you did something just for yourself? Do you have skincare products shoved to the back of your medicine cabinet like they fell into Narnia? Rescue those forgotten products and use them up! Listen to your body, acknowledge what it needs. Think of how hard your body and mind work for you. What do you do to reward them? Thank you for the kind words, Patti! Your skin is absolutely lovely too.